Please enjoy all of my free patterns! Feel free to email me at crochetchiq@gmail.com if you have any questions! Find me on Facebook, pintrest, allfreecrochet and youtube! 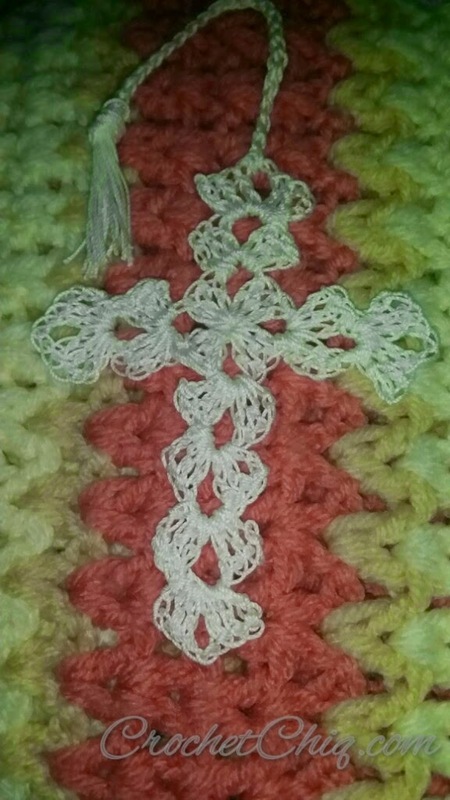 I used Aunt Lydia's Crochet thread and a size D hook. Ch3, 2dc, ch2, 3dc, ch2, 3dc, ch2, 3dc, ch2 and join. Ch3 2dc, ch2, dc3 in any ch2 sp. Turn and *sl to ch2, ch3,2dc, ch2,3dc. *Turn and repeat * repeat everything in this step 3 more times. Cut thread and weave in ends at the ends of the sides. When you get to the last side repeat the * section 2 more times for a total of 4 shells for the bottom and 2 shells for the sides not including the center. 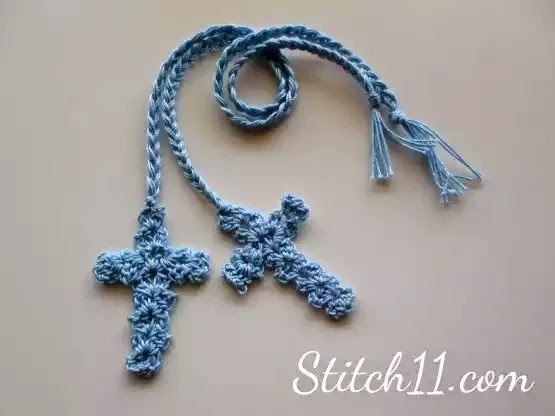 On the top of the cross attach yarn and chain 26, skip the first 5 and sl to the first chain. Then I added a tassel. 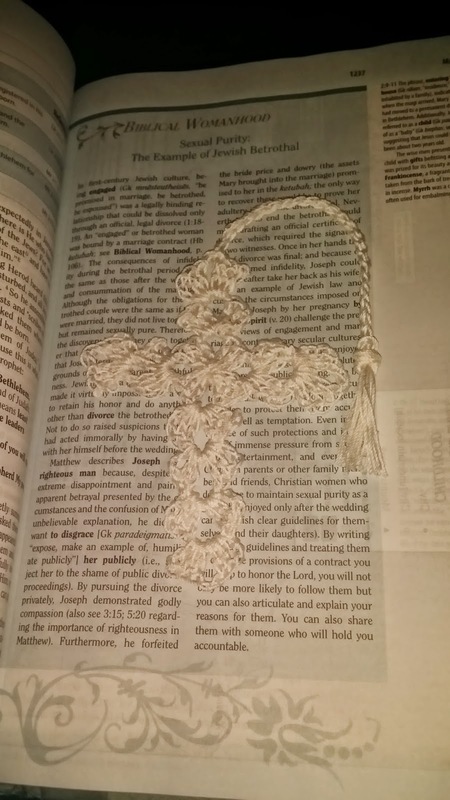 If thread isn't your thing check out this great bookmark Stitch 11 made from my Cross Bangle pattern! What a great way to encourage a child to read or to welcome a new church member! beautiful cross. Thanks a lot. sew the 2 ends together and weave in your tail at least 4 inches worth so it will not come undone. Hey everyone! I took a ball of Lionbrand Heartland Thick and Quick with me to an Angel baseball game. I always bring yarn because while going to games is fun the boys in my life enjoy them far more than I do! This project to only took me 1/2 of an inning to create so it you want something quick this is your project. I only used 1/2 of the ball but you can get an extreme one by using the whole ball... it would be perfect for cooler weather. I started by making a slip knot with my fingers.